How to avoid the financial pain of airline bankruptcies. Flybe, FlyBMI, Joon, Alitalia, Air Berlin, Monarch Airlines and now WOW Air have been or are being purchased or absorbed by other airlines, declared bankruptcy or have just gone out of business in recent years, some abruptly ceasing operations. The collapse of some of those airlines hit passengers hard. 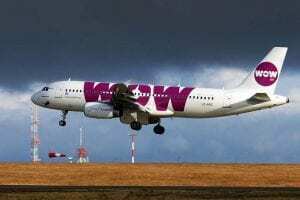 The recent WOW Air collapse left about 4,000 passengers stranded. In 2017, Monarch Airlines left nearly 100,000 passengers stranded. Passengers who purchased their WOW tickets via credit card directly from WOW Air should be eligible for a refund from their credit card company. Those who bought a package holiday from a travel agent within the European Economic Area (EEA) should be protected by the “Package Travel Directive.” Those who purchased travel insurance may or may not be made whole. 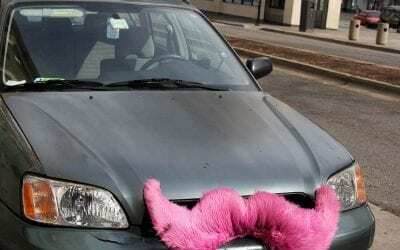 It’s unlikely that other passengers will be able to recover their ticket cost. Does bankruptcy always mean you lose your tickets and your money? No. When an airline becomes insolvent, it may declare bankruptcy either to go out of business or reorganize to attempt to remain in business. The airline may also go out of business, ceasing operations, without filing for bankruptcy. While American Airlines, Delta Air Lines and United Airlines all declared bankruptcy, they continued their operations and honored their passengers’ tickets while they were reorganizing their companies. So, what can air travelers do to protect themselves if their airline goes totally belly-up? Travelers who purchase their tickets directly from the airline by credit card have protection. These passengers can apply for a refund from their credit card company, even if they’ve paid the statement on which the charge is listed. Travelers who purchased their tickets through a travel agency or online service may have a problem. If the travel agent charged the tickets directly to the passenger’s credit card, they’re protected, but travelers who purchased the tickets through a third party will generally have to obtain a refund from the third party, if they can, since the traveler’s credit card company won’t have a record of a purchase from the defunct airline. Because the money for their ticket purchase was already debited from their bank accounts, travelers who purchased their tickets with a debit card will likely lose the cost of their tickets. I recommend purchasing airline tickets with a credit card, with the charge made directly to the airline, if at all possible. While EEA passengers may be protected by the “Package Travel Directive” for third party purchases, American travelers and many others have no similar protection. When purchasing travel insurance you need to read and understand the “fine print.” The precise terms and conditions applying to airlines going out of business will determine if you’ll be able to collect reimbursement or not. Earlier I noted that airlines may declare bankruptcy or just go out of business. For insurance purposes, this can be crucial. Some travel insurance policies require a formal declaration of bankruptcy or their coverage for travel businesses shutting down won’t go into effect. Other policies cover the failures even if they don’t declare bankruptcy, but just cease operations. Airlines offer ticket insurance at the time customers purchase their tickets. I have yet to purchase tickets from any airline that offers ticket insurance that covers passengers if the airline goes out of business. If you’re buying expensive airline tickets or purchasing tickets from an airline that’s financially weak, I recommend purchasing travel insurance separately from a third party insurance company, not the airline. Make sure it provides going out of business coverage without the need for a formal bankruptcy declaration. Predicting airline failures is hard, even for experts. Few experts predicted WOW would go out of business until a few days before it occurred. Twice, transportation gurus predicted Icelandair would rescue WOW by purchasing the company. They were obviously wrong. For travelers, it makes sense to follow airline news on sites like this one. If the airline you’re interested in using is in a financially precarious situation, even if they’re negotiating a likely rescue and even if their tickets are especially inexpensive, consider purchasing more expensive tickets on another airline. If you learn your airline is in poor financial condition after you buy your tickets, make contingency plans. While it would likely be expensive to purchase tickets on another airline at that time, determine what airline flights you can substitute for yours, if your airline goes out of business. Get all the contact information you might need. Remember that most of the time you can’t call toll free numbers on a cell phone from a foreign country. Keep the information with you during your journey. There’s much more at stake for airline passengers than financial loss, particularly if their airline fails during their journey. 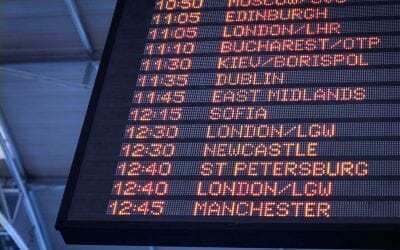 The time wasted to make new flight arrangements and the potential missed travel, such as missing a cruise because you’re stranded in an airport, are just a taste of the myriad of problems that airline failures can cause for customers. That can happen even if you’ve protected yourself financially. Follow the advice above. Purchase your airline tickets with a credit card. Buy travel insurance that covers any kind of airline failure. Follow airline news and have a plan.